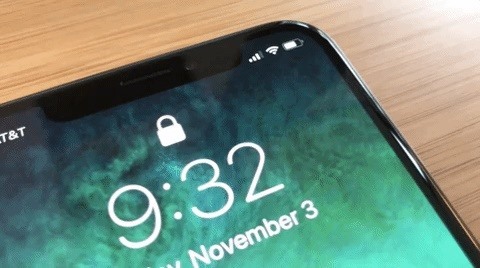 News: What Are Those Animated Switches in the Top Right When You Wake the iPhone X, XS & XS Max? When you wake your iPhone X, XS, or XS Max for the first time, you'll probably notice a subtle animation in the top right of the screen that slides down to reveals a couple switches, one toggled on and one toggled off. At first, the meaning of this could be confusing, but it's just Apple's way of helping you learn your new device better. The switch icons that appear in the top right on your lock screen are indicative of new swipe gesture to open up the Control Center. On other iPhones, you swipe up from the bottom of your screen to access the Control Center, but on the iPhone X, XS, and XS Max, you swipe down from the top-right corner instead. Once you actually perform a swipe down on the top right of the screen to open up the Control Center, you'll likely never see this animation again. It's basically just a quick tip Apple built in to help you get accustomed to some of the new swipe gestures available. If you update your system to a newer iOS version one day, the animation may appear again, but mimicking it will make it go away again.